Here’s to you, Kevin. Courtesy. One day out of the entire year, Here’s to You Pub & Grub is closed — for the annual all-staff trip to a Tiger’s game. Conant soon returned to Hillsdale and opened Here’s to You, Pub & Grub in 2007 with his dad, his late wife Jessica, and Tim Hergert, his best friend since age 15 with whom he used to brew on his front porch. Conant said that he found sat­is­faction in bar­tending. Conant said no degree could have pre­pared him to run a bar. 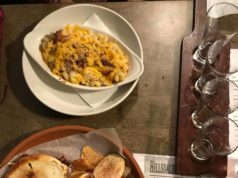 Rough Draft co-owner Carlyn Hubbard ’16 said that not even knee surgery a week before the Hillsdale Brewing Company’s soft opening could stop Conant from bringing the Brewing Company and craft beer to Hillsdale, which he opened in January with the help of his staff. 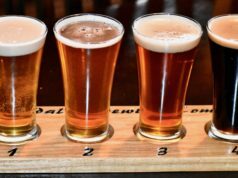 Conant said that craft beer existed since the 60s, but ‘blew up’ within the last six years. Conant said the brewery in just in its soft opening but will host its grand opening soon. 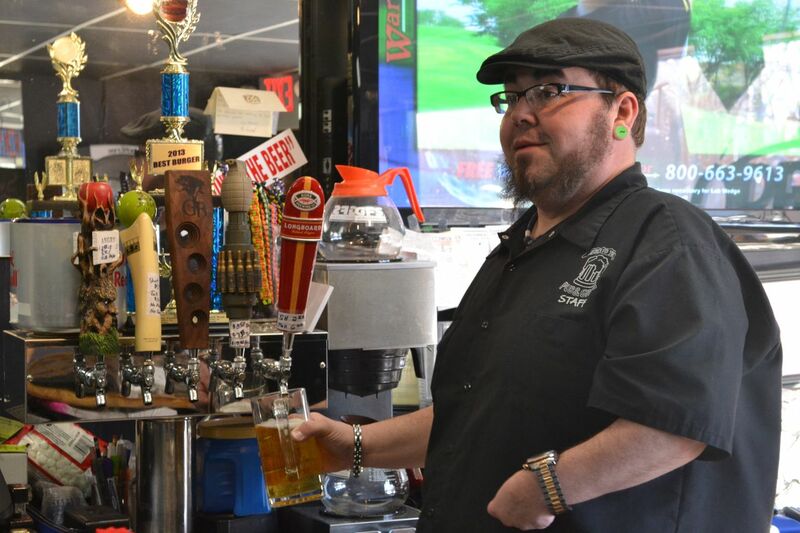 Conant added that people fol­lowed him from Pub & Grub to the Brewery. Hubbard said she didn’t under­stand how it felt to own a small town business until she invested in Hillsdale. Hubbard said Conant men­tioned things she had never worried about: mainly the number of holes in his wall. Conant said that between Pub & Grub, the brewery, and his two-year-old daughter, and his wife dying, he couldn’t have opened his new restaurant without his staff at both restau­rants. Conant said he per­sonally inter­views employees before hiring them because he wants to ensure they will treat cus­tomers right. Conant said that his bar is probably where college stu­dents and towns­people interact the most in Hillsdale. Conant explained their original bar idea. Conant said that people from all walks of life and socioe­co­nomic sta­tuses visit his bar nightly. 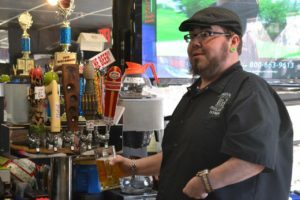 Rob Ray, Pub & Grub’s kitchen manager, said that he started working here a year-and-a-half ago because a Pub & Grub staff member sug­gested he work for them instead his current bar. “I was told by a staff member here that my per­son­ality fit in better here than in a country bar,” he said. “Kevin’s a little bit Rock N Roll, the other place was more country,” he said. Ray said he finds sat­is­faction cooking good food. “He was upgraded to my left hand,” Conant explained. Conant also designed ‘Dougie the Barfly’ who is grasping a beer in the front of Pub & Grub, which he said over 500 people have pur­chased through his shirts and hoodies. Conant said his family and friends have helped him since day one. SOURCEThe man, the myth, the legend of Hillsdale's Pub & Grub and the beer behind Hillsdale Brewing Company. Great article Scott. I love the Pub and Grub and all the staff, the food and drinks are awesome!! Did this article go to edit? Someone acci­den­tally pub­lished the first draft, because there are a hundred mechanical errors. That’s a dis­ap­pointment coming from the Col­legian. Thank you for saying exactly what I was thinking. 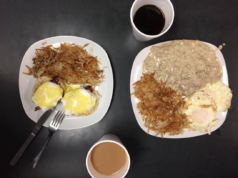 Also it tended to raise ques­tions… is Pub and Grub staying open? And why so many men­tions of Rough Draft?